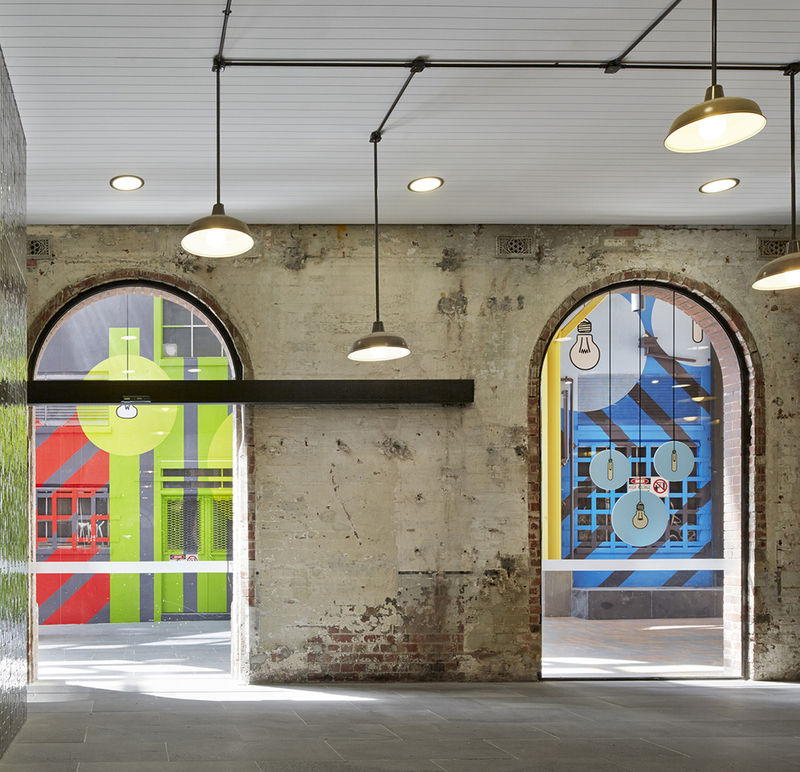 Old Power Station Gets New Graphics at Melbourne's "Upper West Side"
Mim Design Studio’s “Upper West Side” adds a splash of color to Oz’s primary booming metropolis. As Melbourne continues to push its way into our peripheral vision, continuously boasting innovative design and a cool, creative authenticity, this unique site is particularly interesting. Mim Design, in collaboration with the Latitude Group, prides itself on a holistic approach, remaining attentive to the needs of those who will avail of the space they are creating, while maintaining elements of intrigue, inspiration and surprise – this most recent project is no exception. “Upper West Side” began as an inner city power station and is now Melbourne’s largest and most successful precinct in a decade. Mim’s contribution comes in the form of the very idea – light-bulbs. 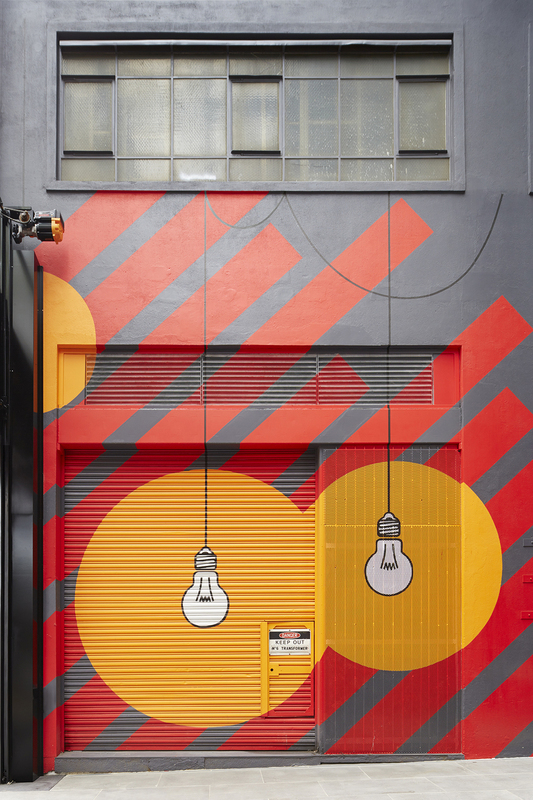 Cleverly interweaving the design with the history of their surroundings, the team have used contemporary graphic depictions of bright, bold, colorful bulbs throughout the scope of the project. This fresh, youthful approach creates a simultaneously relaxed and exciting retail space for Upper West Side Residents. The abundance of creative artwork includes airborne bicycles, neon light fixtures and a series of futurists graphics in brazen 60s colors. Placing these among the pre-existing structural and architectural elements and warm terracotta brickwork, with a flicker of modernity in the edgy polished concrete seating, there is a strong element of adherence to historical relevance and the current needs of the new community. The exterior façade draws the passer by inside with its exposed materials and cheeky color palate, both blending in with Melbourne’s original aesthetic and setting itself apart as a bright and energetic urban destination.